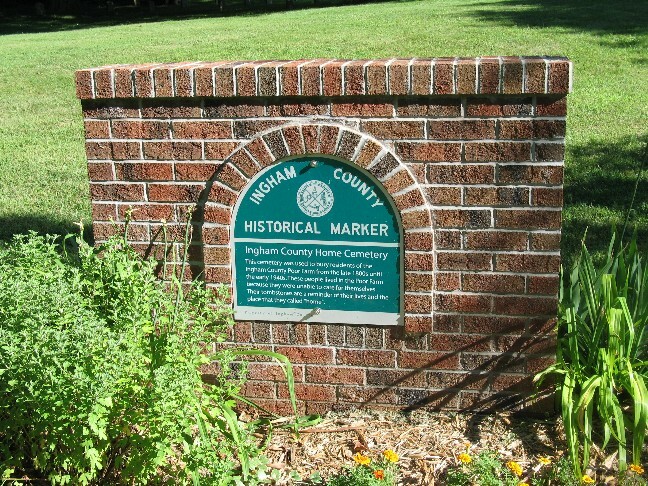 The Ingham County Home Cemetery is located at 3860 Dobie Road, Okemos, Michigan. (Located next to the Ingham County Medical Care Facility on the South side. ), Section 34, Meridian Township. This cemetery was used to bury residents of the Ingham County Poor Farm from the late 1800s until the early 1940s. These people lived in the Poor Farm because they were unable to care for themselves. Their tombstones are a reminder of their lives and the place that they called "home".